An excerpt from my nonfiction book about gardening and country life, Shenandoah Watercolors, a 2012 Epic eBook finalist. Available in Amazon Kindle and in print. We’ve had many misty starts to the day this August. Haze hugs the pond, parting just enough to reveal the long-legged blue heron fishing for his breakfast. There’s a country saying about the number of foggy mornings in August being an indicator for the amount of snows we’ll have this winter––a heap, at this rate. Dozens of swallows skim over the pond as the sun sinks below the Alleghenies. If I were standing on a distant ridge, would it sink behind me, or the ridge beyond that one? The water is calm now but was awash with waves during the storm that hit a short time ago. The grassy hill and maple tree are reflected on the surface, silvery and streaked with rose from the western sky. All is peaceful as a soft twilight settles over the valley. Utterly idyllic, until I pause to consider what all of those swallows are after. There must be clouds of mosquitoes. Here’s another thought, where do all the birds spend the night? Are the woods up on the hill lined with birds perched wing to wing jostling for space on the branches? I’ll bet they make room for the big red-tailed hawk. He gets the whole tree––as many as he wants. It’s good to be king. Dennis, Elise, and I once saw a magnificent rainbow arching across the sky over the meadow. The magical multihued light streamed down into the pond and gilded the back end of a cow as she stood in the water. It startled us to discover that this was where we must seek our pot of gold. Though it’s apt, I suppose, for dairy farmers. *These foxgloves are growing in a garden in Colonial Williamsburg. Foxglove, also known as Digitalis: I’ve grown this beautiful flower/herb and used to have a spectacular stand of foxglove but they died out one winter and I’ve had the dickens of a time getting new plants established. Because foxglove is a biennial, it has to grow one season and survive the winter, the tricky part, and then resurrects the following spring and blooms in late spring/early summer. If you’re fortunate the plants reseed and perpetuate themselves. If not, you must begin again. But it’s well worth growing. I suspect our soil may be too heavy and needs to be further lightened with compost, so I did just that and planted a new variety of foxglove a week ago. So far, so good. 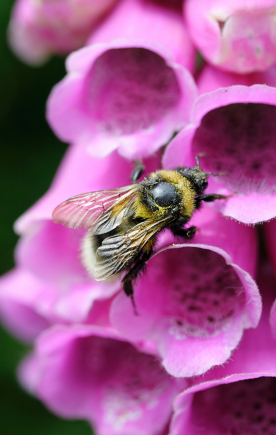 From A Modern Herbal: Foxglove: POISON! “Other names: Witches’ Gloves. Dead Men’s Bells. 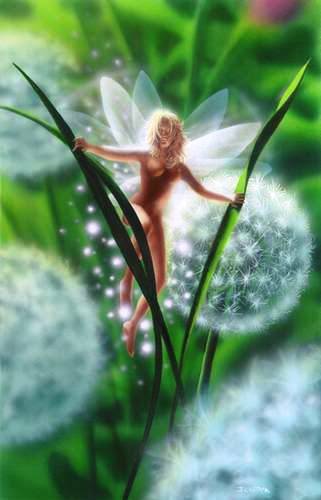 Fairy’s Glove. Gloves of Our Lady. Bloody Fingers. Virgin’s Glove. Fairy Caps. Folk’s Glove. Fairy Thimbles. (Norwegian) Revbielde. (German) Fingerhut. Habitat: The Common Foxglove of the woods (Digitalis purpurea), perhaps the handsomest of our indigenous plants, is widely distributed throughout Europe and is common as a wild-flower in Great Britain, growing freely in woods and lanes, particularly in South Devon, ranging from Cornwall and Kent to Orkney, but not occurring in Shetland, or in some of the eastern counties of England. 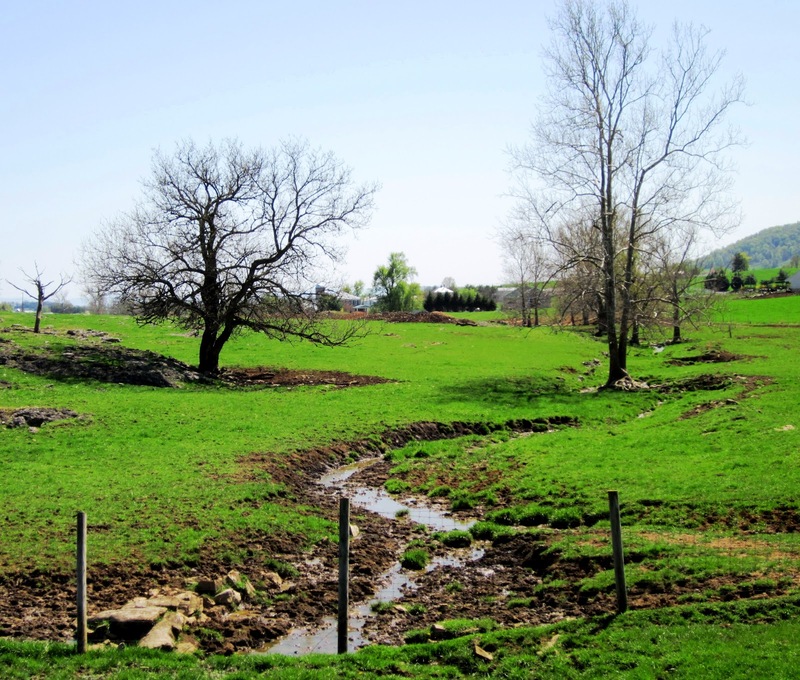 Needing little soil, it is found often in the crevices of granite walls, as well as in dry hilly pastures, rocky places and by roadsides. Seedling Foxgloves spring up rapidly from recently-turned earth. Turner (1548), says that it grows round rabbit holes freely. The plant will flourish best in well drained loose soil, preferably of siliceous origin, with some slight shade. 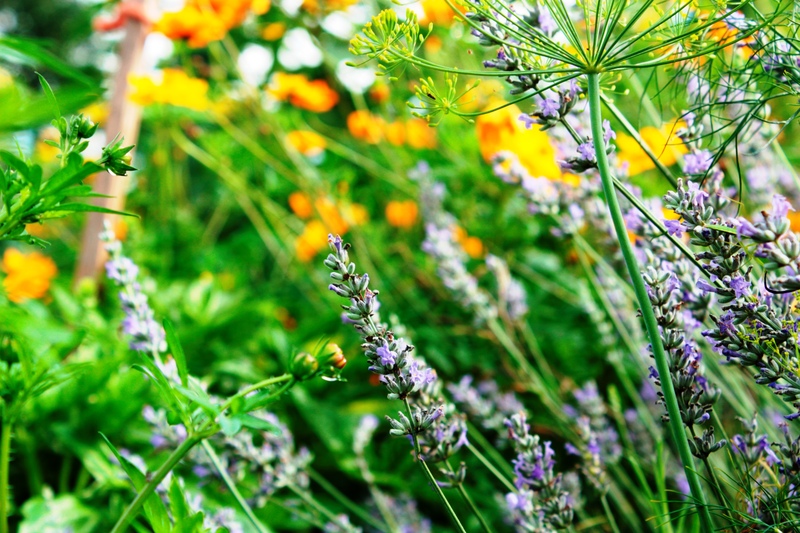 The plants growing in sunny situations possess the active qualities of the herb in a much greater degree than those shaded by trees, and it has been proved that those grown on a hot, sunny bank, protected by a wood, give the best results. They bloom in the early summer, though the time of flowering differs much, according to the locality. The flowers are bell-shaped and tubular, 1 1/2 to 2 1/2 inches long, flattened above, inflated beneath, crimson outside above and paler beneath, the lower lip furnished with long hairs inside and marked with numerous dark crimson spots, each surrounded with a white border. 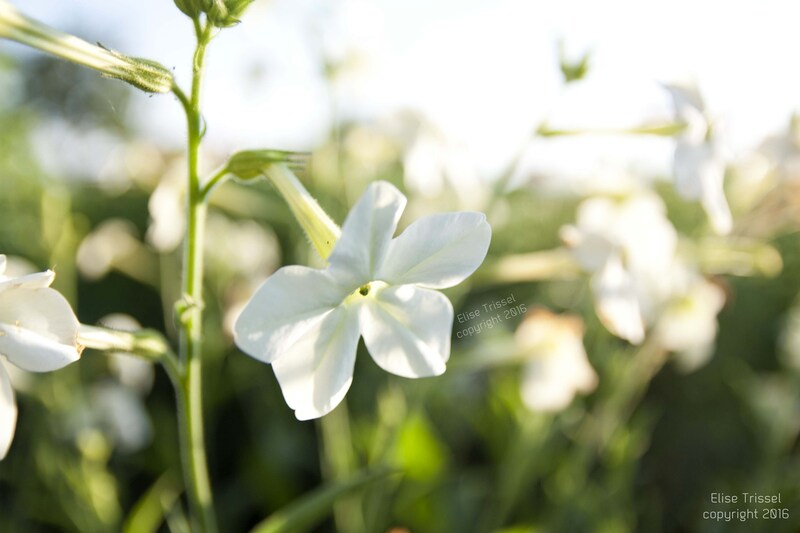 The shade of the flowers varies much, especially under cultivation, sometimes the corollas being found perfectly white. It is noteworthy that although the flower is such a favourite with bees and is much visited by other smaller insects, who may be seen taking refuge from cold and wet in its drooping blossoms on chilly evenings, yet no animals will browse upon the plant, perhaps instinctively recognizing its poisonous character. 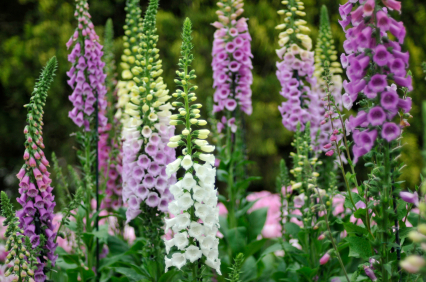 The Foxglove derives its common name from the shape of the flowers resembling the finger of a glove. It was originally Folksglove – the glove of the ‘good folk’ or fairies, whose favourite haunts were supposed to be in the deep hollows and woody dells, where the Foxglove delights to grow. 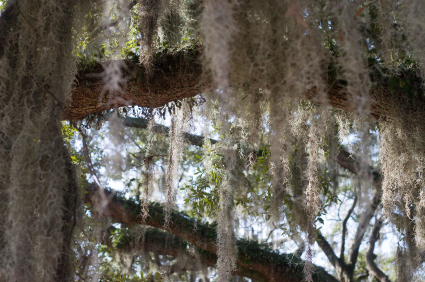 Folksglove is one of its oldest names, and is mentioned in a list of plants in the time of Edward III. Its Norwegian name, Revbielde (Foxbell), is the only foreign one that alludes to the Fox, though there is a northern legend that bad fairies gave these blossoms to the fox that he might put them on his toes to soften his tread when he prowled among the roosts. The earliest known form of the word is the Anglo-Saxon foxes glofa (the glove of the fox). The mottlings of the blossoms of the Foxglove and the Cowslip, like the spots on butterfly wings and on the tails of peacocks and pheasants, were said to mark where the elves had placed their fingers, and one legend ran that the marks on the Foxglove were a warning sign of the baneful juices secreted by the plant, which in Ireland gain it the popular name of ‘Dead Man’s Thimbles.’ In Scotland, it forms the badge of the Farquharsons, as the Thistle does of the Stuarts. The German name Fingerhut (thimble) suggested to Leonhard Fuchs (the well-known German herbalist of the sixteenth century, after whom the Fuchsia has been named) the employment of the Latin adjective Digitalis (from Digitabulum, a thimble) as a designation for the plant, which, as he remarked, up to the time when he thus named it, in 1542, had had no name in either Greek or Latin. Strangely enough, the Foxglove, so handsome and striking in our landscape, is not mentioned by Shakespeare, or by any of the old English poets. ~When the world was new and I was young, I ordered a dozen Rouen ducklings (resemble large mallards) from a game farm and began my love affair with ducks, blessed by its moments of joy and cursed with inevitable tragedy. The box of downy babies was delivered directly to my door much earlier in the day than our mail normally comes as the mailman had wearied of their incessant peeping. I took the new arrivals from the grateful carrier and transferred them to a corner of the family room under a warm light bulb. My two oldest children, in grade school then, were delighted with their new playmates, but soon joined me in the discovery that these tiny creatures were incredibly messy. The ducklings reveled in their food, spewing a mixture of feed and water on themselves, the box, and the walls. This led to their speedy removal to an unoccupied rabbit hutch in an outbuilding. Here they grew in sheltered bliss until we deemed them ready for life on the pond, unaware that our charges needed parental guidance. The unchaperoned youngsters soon slipped under the fence and lost themselves in the neighbor’s grassy meadow. We tracked their frantic quacks and carried them home, only to have them forget and stray again and again. Sadly, unwary ducklings do not know to be on guard against snapping turtles, something their mama would have taught them. 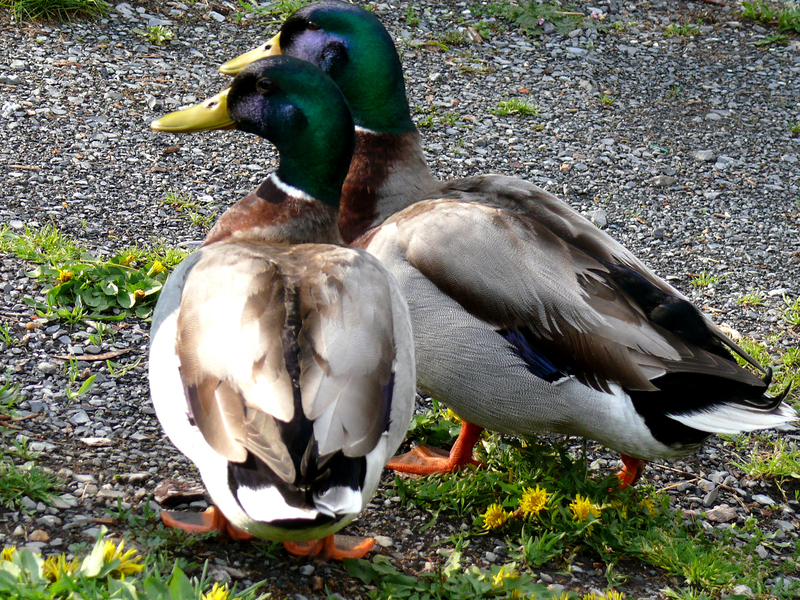 By summer’s end, just two grown ducks remained and were fondly named Daphne and Darlene. 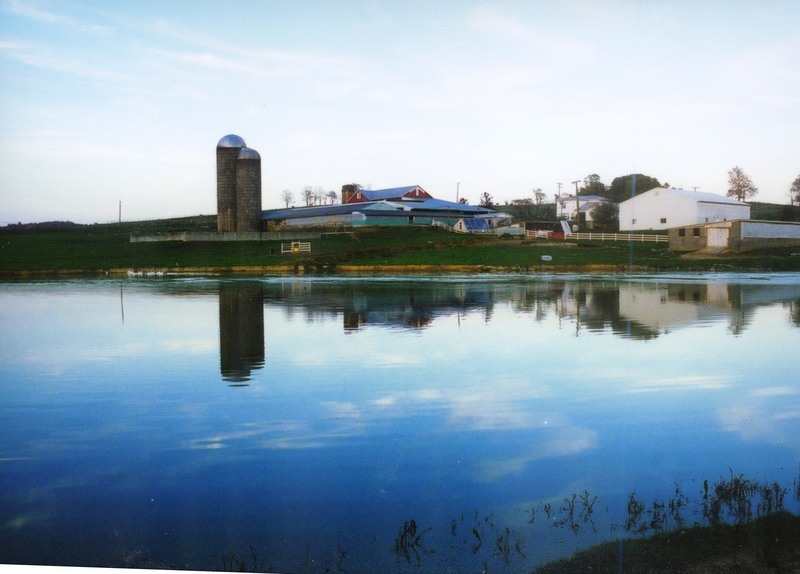 They were inseparable and divided their day between the cows and geese in the barnyard and forays to the pond. The next spring Daphne and Darlene built a mutual nest inside a clump of gold-button tansy at the edge of the garden and patiently sat on the eggs that would never hatch. It was time to find them a suitable spouse. One fall evening “Don” arrived in my hubby’s pickup truck. The girls took an instant liking to the handsome drake, and he to them, though he showed a slight preference for Darlene. As spring neared again, we noticed a wild mallard drake observing our little band. He would dash forward for a bite of grain at feeding time, only to be driven away by Don. We pitied Dwayne, as he soon became known, and tossed a handful far to the side for him. Besides the free lunch, it seemed that Dwayne was attracted to our Daphne, much to Don’s strong disapproval. The small male was undeterred and eventually won acceptance, amusing us by his attempts to mate with Daphne, twice his size. Persistence won out though. That year the girls had separate nests, Darlene at the base of a bittersweet vine, while Daphne went back to the tansy. Don and Dwayne bonded, swapping stories as they awaited imminent fatherhood. 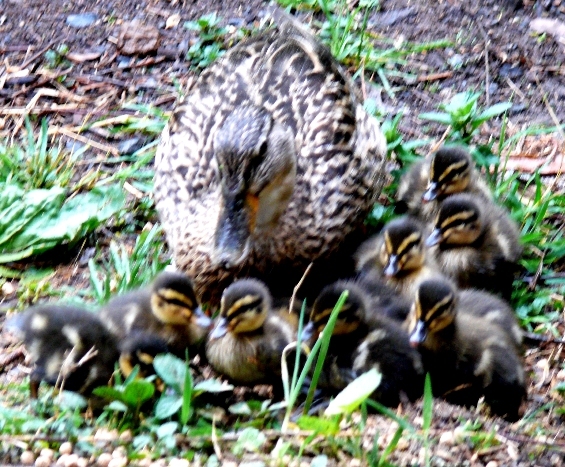 The ducklings hatched in late spring and grew quickly. All survived with excellent care from their mothers. By fall we could see Dwayne’s influence on the flock. His offspring were considerably smaller. It was a golden, happy time. Late afternoons we quacked loudly, calling our ducks for feeding. Heads popped up from the seeding grass and they answered back then waddled single file behind Don, their noble leader. If we were late with dinner, they gathered to complain about the lack of service and were not averse to heading up to the house to fetch us if necessary. Autumn in all its splendor passed into a winter that was our most severe in years. We tromped faithfully through the deep snow every day to scatter feed on the frozen pond. Then one morning after fresh snowfall we could not find a single duck. Our anxious calls came back to us empty on the wind…searching revealed spatters of blood and dog tracks in the snow, the silent witness to their grim fate. Still, we hoped that some birds had escaped the attack and combed the neighborhood, finally locating a pair of Dwayne’s offspring. Only the smaller ducks could fly well. We had unwittingly fed the others up to be “sitting ducks,” an expression I understand too well now. A week later Dwayne returned on his own, but it was a bleak time. How empty the pond seemed without the gang. All of this took place eons ago, but we still have ducks on our pond and an ample flock fussy barnyard geese who make daily visits down to the water. The small town of Dayton, Virginia, not far from us, has a lovely body of water called Silver Lake (the size of a large pond) and a stream that attracts so many ducks the town has installed a duck crossing sign. *Pics of our farm and ducks, also my mom and dad’s ducks…it’s a family thing this love of ducks. *Images by my mom, Pat Churchman. *The one of the creek by daughter Elise. It’s awash with moisture now, but was only a trickle that day. 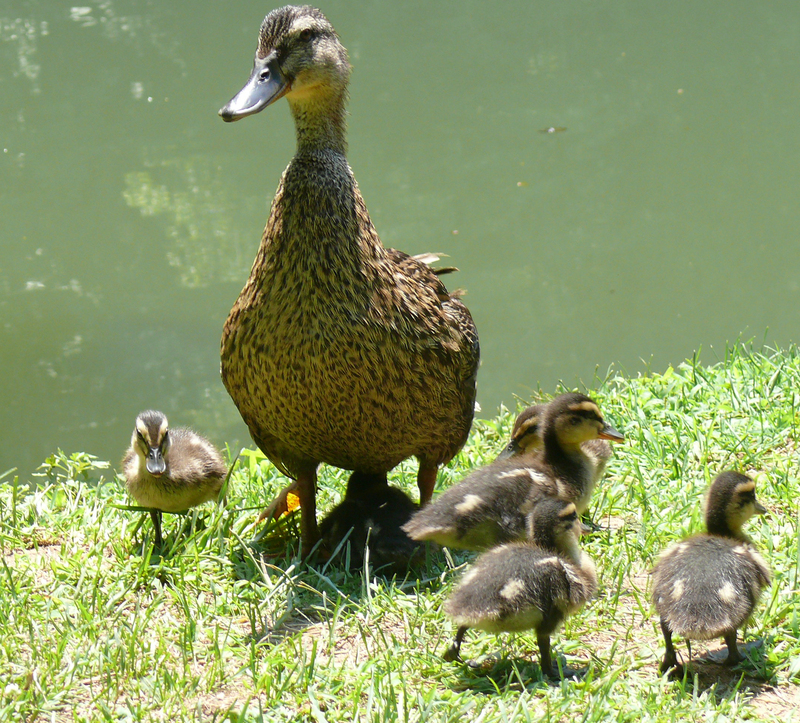 *This story about ducklings is the one that really got me started in writing. It was ‘almost’ published in Southern Living Magazine and that editor gave me much encouragement about my writing, then she referred me to an editor at Progressive Farmer who accepted it and several more nonfiction pieces about rural life, but their free-lance column got axed before publication. Actually, the birds are singing away outside my door, but I like the quote and that’s how it goes.To declare the Shenandoah Valley in the full bloom of spring is a tad premature, but we are poised to burst forth. The early plants already are. And, like the happy kitty above, I say bring it on! This has seemed an exceedingly long and tiresome winter. As to my gardens, before the snow that hit on Sunday and into Monday, I was able to work outdoors and pull a whole wheelbarrow full of overwintering weeds. Yes, they always manage to survive the harshest weather. I’m taking stock of what else made it through and considering which plants didn’t and should be replaced or grow something different in that spot. I am expanding my herbs, so look for more fragrance this year. 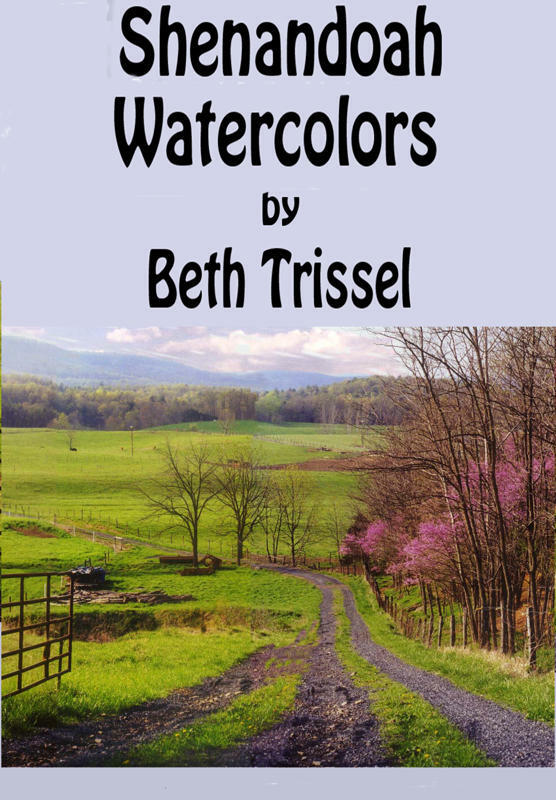 For those of you who love gardening and country life, I recommend my nonfiction book, Shenandoah Watercolors, was 2.99, now only .99 at Amazon. The book is also available in print with beautiful pics of the valley and mountains taken by my talented family. And Happy spring! The great Agatha Christie favored poison as her preferred means of dispatching unfortunate characters in many of her murder mysteries. One of the deadliest herbs, Monkshood, also called Aconite and Wolfsbane, certainly played a part. Torre Abbey in Torquay has a garden devoted to the plants that rear their heads in her work. Torre Abbey, built in 1196, is the largest surviving medieval monastery in Devon and Cornwall. “Agatha Christie’s Potent Plants is the creation of Torre Abbey Head Gardener Ali Marshall, who in true crime writing style researched around 80 of Agatha Christie’s novels and short stories in just six months to come up with the Abbey’s own unique commemoration. The new feature links the author’s interest in poisonous plants, her wartime work as a pharmacy dispenser and the medicinal plants that Torre Abbey’s medieval canons might have used. “Do not touch is the warning for all visitors to the new garden and a skull-rating denotes the level of toxicity of each of the plants. Ali Marshall explains: “While this might sound extremely dangerous for staff and public alike we have been very careful in our choice of plants, substituting less potent garden cultivars where possible. This is a garden designed to entertain – not provide murderous opportunities! 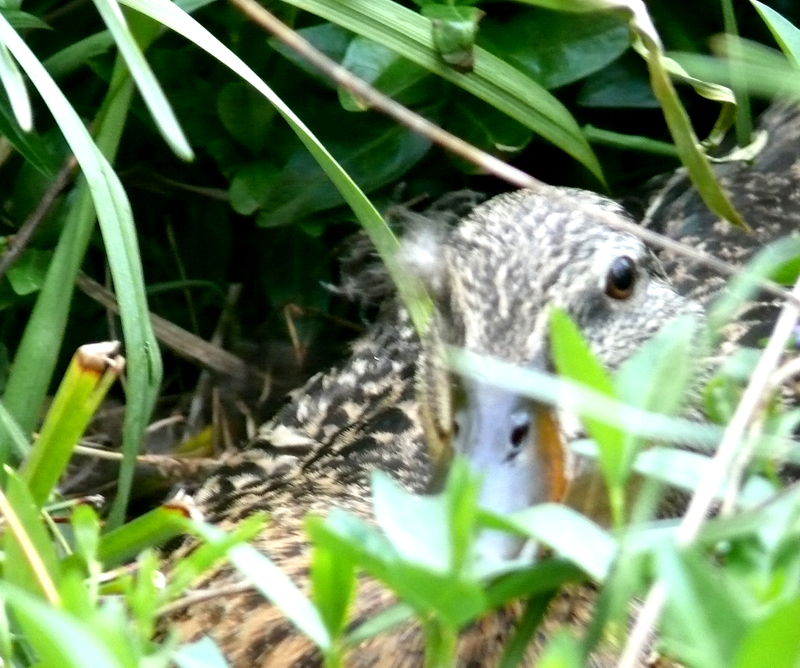 *Pics of our farm and ducks, also my mom and dad’s ducks…it’s a family thing this love of ducks. *Images by my mom, Pat Churchman. *The one of the creek by daughter Elise.